Within each individual resides an unbroken wholeness, which is inherently creative within our nature. Longings emerge from this unbroken wholeness as a signal of parts of our own nature that are calling to come home. Michael Harner studied Shamanism first as an Anthropologist, then as an initiate. He developed a set of practices that were universal in cultures that still had practicing Shamans, and were reflected in historical evidence of lost tribal cultures. Since 1985, the Foundation has taught thousands of Westerners to use these ancient techniques. Sandra Ingerman also teaches workshops internationally in shamanic journeying, healing, and reversing environmental pollution using spiritual methods. 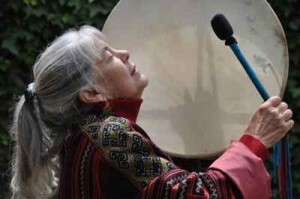 She has trained and founded an international alliance of shamanic teachers. Also, the Society for Shamanic Practitioners focuses on the here and now, and is interested in documenting how shamanism is changing, and how it is being used as it interfaces with the twenty-first century world. Direct links are available on the Resources page.